1 What Are Some Common Foods That Are Rich in Gluten? 2 How Is Gluten Different? 3 Why Is Gluten Becoming a Big Deal? 4 Should I Stop Eating Gluten Completely? A lot of people have now start switching to gluten free foods due to hazardous effects of chronic gluten intake. Based on the latest statistics, the overall prevalence of gluten sensitivity in general population is fairly high. For example, in certain parts of Europe, as much as 28% of the population is sensitive to gluten. If you are not aware of what actually gluten and gluten free foods are, then you are at the right place; because this post is for you!! Gluten is an important protein that is present in most of the grains as a natural component. The rather rich sources of gluten include diet that are prepared from wheat (like pasta, bread) in addition to other grains like Barley, Bulgur, Kamut Matzo, Semolina, Couscous, Wheat germ, Rye, Graham flour, Spelt, Triticale and Farina. What Are Some Common Foods That Are Rich in Gluten? Other than wheat and grains listed above, a number of foods are also rich in gluten. These include soy sauce (that is also a rich source of MSG or monosodium glutamate). Gluten is also present in sausages, candies, salad sauces, Asian foods malt/malt flavoring, processed cheese broths and soups, cold cuts, French fries, ketchup, malt vinegar and mayonnaise. It is also present in items that are not edible like toothpaste, deodorants and cosmetics, food starch etc. Gluten is a protein but it's different from animal, rice and dairy proteins because proteins are hard to digest by humans and can cause sickness. This happens in people having "celiac disease" which is reportedly prevalent in about 1% of the population. You can confirm the disease by detecting the presence of antibodies in your blood via serological tests. Gluten is dangerous in people with a history of stomach diseases; even if they don't have celiac disease. The severity of gluten sensitivity determines the symptomatology that may range from bloating, diarrhea, gas to more chronic and disturbing symptoms like recurrent attacks of migraine headache, depression, unexplained infertility and anxiety etc. Why Is Gluten Becoming a Big Deal? The trend of consuming unnatural or highly processed foods is on the rise. Most of us consume a variety of processed foods that is rich in wheat fillers (and thus is unnatural to our stomach). It is dangerous for infants and small kids in terms of causing behavioral and neurological disorders along with serious stomach and gastrointestinal issues. Sensitivity of gluten is a systematic autoimmune problem and with or without enteropathy, the neurological manifestations are frequent and occur a lot. The pathogenesis includes molestation of nervous tissues which causes changes in neurodegeneration. Should I Stop Eating Gluten Completely? Quitting the Consumption of gluten isn't required in every case. You can find out your body's tolerance level for gluten. This can be observed if your skin is getting worse, your stomach feels gassy and bloated and you are experiencing severe fatigue. All these signs are suggestive that you should cut down the gluten intake. You just need to be little conscious while buying breads and pizzas and check the label on it, you can also eat fresh whole foods. If you are having stomach problems for an unknown cause, assess your glute sensitivity by cutting off gluten from your diet to see if it helps. Many people face stomach problems all their life without knowing the reason. If you are suspecting gluten sensitivity, the restriction of gluten can be the first step to achieve complete resolution from the disturbing symptoms. So, whether you have celiac disease or not, use of gluten can still cause troubles in brain. Gluten sensitivity without having intestinal involvement can also be a cause of cerebella degeneration in ataxia of unidentified cause. Many other scientists have also confirmed the association of gluten in the setting of neurological diseases. According to latest statistics, about 10% of children in North America are currently living with the gluten syndrome. However, it is imperative to mention that most experts believe that these are conservative figures and the actual prevalence can be as high as 20%. Sensitivity of gluten can increase the risk of sickness, morbidity and mortality in general population by aggravating the risk of diseases due to nutritional deficiencies. Autoimmune disorders such as celiac disease is known to affect 1 out of 4 individuals in some parts of the world. 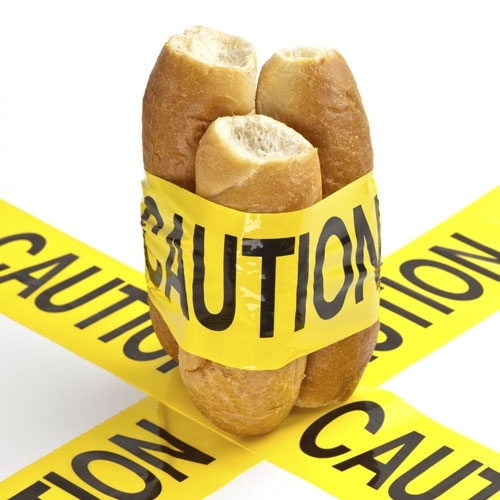 Experts believe that a positive history of one or more autoimmune conditions is a risk factors for celiac disease and hence optimal caution must be maintained. Presence of gluten in the foods can severely damage our brain, nerves and mental health. Dr. Rodney explained the hazardous effects of gluten on the brain in his book "Full of it! The shocking truth about gluten". There are multiple neurological diseases that are linked to gluten. The syndromes that are mostly common are peripheral neuropathy and cerebellar ataxia, in case of neurological problems, early treatment can benefit the patient but if the system gets damages then going gluten-free might also not help. So, prevention is always recommended. Refer to this video to learn more about gluten and its hazards! I am an enthusiastic blogger and nature lover. My blogs span a wide range of topics; from nutrition and wellness to supplements, medical research, hospital administration and evidenced based application of alternative medicine. Server responsed at: 04/22/2019 4:26 a.m.